Gerry A. Griffin, Jr., Esq. is an accomplished attorney with more than 25 years of experience helping his clients successfully prepare for and navigate a range of legal needs. One of his primary focuses is working with families and their estate planning needs. His services in this area range from preparing wills, trusts and other important legal documents, to protecting and preserving assets acquired through a lifetime of hard work. 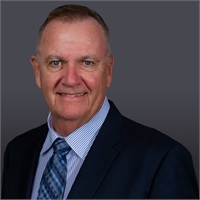 In addition to his expertise in estate planning, Gerry has extensive experience in real estate law, contract law, bankruptcy proceedings and probate. His philosophy is simple, and is one that has served his clients well over the years; simplify complex legal matters and present them in a way his clients can understand, while ensuring they receive the highest quality legal representation possible. Gerry received his JD from the New England School of Law and was awarded Dean’s List for his academic achievement. He completed his undergraduate degree in Criminal Justice at Northeastern University. For the last 15 years, Gerry has owned and runs his own law firm serving clients throughout Massachusetts. Prior to that, he was an attorney for 17 years with several well-respected firms in the area.